A driver navigates into the city, so she can rest up, because her romance with the radio show is a full-time gig, requiring extra at-home attention. “I’ve received calls here from musicians’ boyfriends or girlfriends on their behalf, asking to be on the show, and I think, ‘What bloody nerve,’ but then I think, ‘Gee, that’s what I would do!’ I’m very diplomatic.” Her low-register laugh reveals a playful sense of humor that her late husband Jimmy encouraged in her. 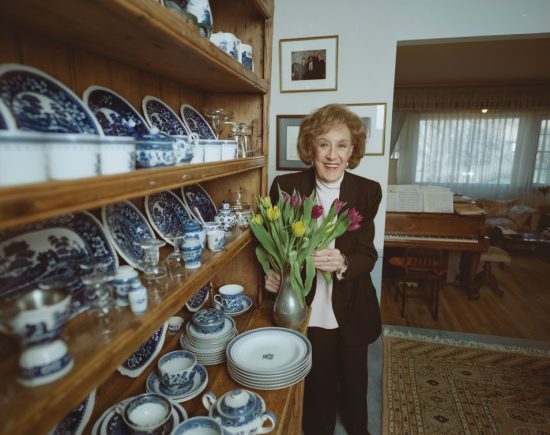 Marian McPartland’s latest CD is Contrasts (Concord), a double-disc reissue of Plays the Music of Alec Wilder and A Sentimental Journey With Jimmy McPartland. 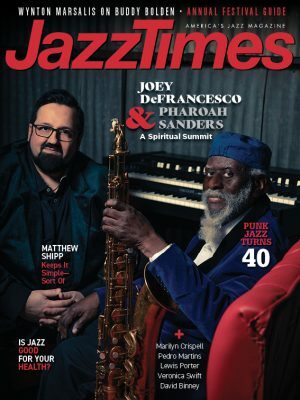 Plus, her Piano Jazz CDs-most recently featuring Dizzy Gillespie, Dave Brubeck and Rosemary Clooney-continue to come out via Jazz Alliance/Concord.